Great question! Yes, the small business experience is different – but that doesn’t mean that there are not opportunities for leadership development. In fact, I’d argue that there are just as many opportunities – they’re just different. Let’s start out by reviewing how successful leaders develop. Back in the 1970s, CCL published its landmark study on executive development, which resulted in the best selling book “The Lessons of Experience ”. Since then, just about every best practice company and practitioner has built their leadership development practices on this foundation. The programs that big companies like GM, Proctor & Gamble, and 3M use to develop their leaders are basically designed to provide their emerging leaders with as many of these high impact developmental opportunities as possible. Sure, they add a lot of bells and whistles, but there’s very little they do that a leader at a small company can’t do for themselves. I think the biggest difference is your company isn’t going to spoon-feed you. You’re going to have to be in charge of your own leadership development – and maybe that’s not such a bad thing. Yes, there may be more opportunities to change jobs in a large company. Big multi-nationals are like a job market in themselves, especially if you’re learning agile and willing to relocate. However, in a small company start-up, you might have the opportunity to create your own job that doesn’t yet exist. You might start off as the only salesperson – then become the first sales manager – and then start up a marketing department. The other way to look at development through job changes in a small company is to actually change companies. You can look for jobs that provide new opportunities in scope and scale, new locations, new products, and new challenges (i.e., start-up to turnaround). The types of challenges that have the most impact on a leader’s development are the same in any size company or culture. Dealing with employee performance issues, taking on new assignments that you’ve never done before, learning different aspects of your business or industry, or volunteering for a non-profit outside of work are all examples. All of these challenges have the potential to enable a leader to “earn their scars”. I would argue that there may be more danger of getting stuck in an overly narrow rut in a large company than there is in a small company, where the responsibilities are broader and everyone is expected to pitch in. Again, it can just as easy to become isolated in a large company as it can in a small company. Small company leaders will most likely look outside of their company for role models, mentors, coaches, and professional and community networks. Social networking has opened up a whole universe of networking and best practice sharing possibilities. It’s similar to the impact eBay had on the little guy’s ability to sell to the entire world. When it comes to the booming business of coaching, a lot of the executive coaches I know get a lot of their clients from small businesses. No differences here – we’re always going to faced with the possibility of the death of a loved one, divorce, illness, losing a job, etc… regardless of company size. Resilient people have the ability to turn these hardships in opportunities to reflect and grow. All right, I’ll bet this is where you’re thinking the deck is stacked against the little guy company. Well, not really. Many of the leading executive education programs are made up of participants from small companies. If you can’t afford one of these expensive programs, there are probably plenty of lower cost open-enrollment leadership development programs in your own community. Again, this is where the internet has leveled the playing field. The quality of distance learning programs has improved dramatically. You can even get a degree in leadership or management completely online. And let’s not forget blogs like this one and thousands of other websites, newsletters, books, and periodicals. My email subscribers are from big and small companies, and everything in between. So no, if you work for a small company, you don’t have to settle for table scraps. There are plenty of opportunities for leadership development, you might just have to be a little more proactive and creative. What are some of the other differences between big company and small company leadership development? Thanks for the much needed wake-up call for today's workforce. While smart companies will continue to take steps to encourage professional and leadership development, that philosophy is certainly waning. As you said, the Internet has opened up the largest collection of free development information and training that has ever been available. Now companies can't really offer anything that isn't already cheaply available on the Web. The good news is that, for professionals, nothing stands between you and your goals except the ambition needed to get there. I think a lot of people will find this post really helpful, Dan. Thanks for doing it. I think there's also a difference between small and very small companies. In the beginning of a company's growth, leadership development is not programmatic at all. It's either ambition-driven or mentor-driven. Usually when new skills (finance eg) are needed, a new person with that skillset is brought on to join the founders. But partway up the curve companies start thinking about succession and about developing the people in the company for more important positions. At that point, leadership development becomes a company concern, but things usually remain very haphazard. Very often no one starts thinking systematically about any of this until the first HR person comes on board or until some star leaves because they don't have room to grow or until a key executive leaves with no replacement available. Thanks for highlighting some of the differences large and small companies face in terms of leadership development. It made me reflect on my experiences at different sized companies and the different opportunities available to develop my leadership skills. Though larger companies I have been at may have more resources available, such as education reimbursements or even company universities to develop skills, I’ve often been left on my own to go after these opportunities. In contrast, my recent experience at a smaller architectural and engineering firm made leadership development a priority through several avenues, though different from what may be offered at larger companies. This smaller company had a book group that chose books on leadership to be read and discussed on a regular basis. In addition, we would have “Breakfast of Champions” and “Generate a Big Idea” meetings several times a month where we were challenged to come up with ideas on the direction of the company as well as discuss ideas about future projects. By involving everyone in the strategic development of the company, we were encouraged not only to generate ideas, but also to be held accountable for those ideas. This went beyond the scope of our regular jobs (i.e. Reception, HR, Architect, Engineer, Designer, etc.) and helped us grow individually and as a team. Good point. From a company standpoint, succession planning approaches and programs would look very different. Sounds like a great work environment! Great insight on leadership in small companies... Working for a small office allows you to experience those stretch assignments you refer too and gain much needed experience along with the occasional black eye. Finding examples of leadership can be the most difficult thing to do in a small company environment since most of your time at work is spent producing. I think you've made some very good points here. I agree, there are definitely lots of leadership development opportunities within small companies. These companies may just not offer specific internal leadership development programs. I have a friend who runs a small engineering start-up. From my discussions with him, most of his leadership development comes from networking with individuals in similar roles from companies in the same field. He asks them what they've done to succeed and works to incorporate that into how he manages his company. In a small company I think you have to learn by being "thrown into the fire". When your company only consists of a few individuals, everyone has to take on a large role and do their part in order for the company to stay afloat. I work for a "small company" compared to the "Top 20." We've found that, regardless of company size, it seems that most great leadership development is built on the same underlying principles (utilizing experience-, relationship-, and education-based development - really the same as what CCL found, just chopped up a little differently). I've seen companies get tripped up when they confuse the "what" and the "how" for leadership development. I believe that anyone, anywhere, in any company can develop leadership - it's just a question of what does it look like to effectively use the principles of leadership development appropriately. This frequently looks different in organizations of different sizes, but I'm a firm believer that size doesn't have to be a limiting factor. Example: I've seen teams choose a book for everyone to read, then spend time discussing the content, determining how it relates to their work, and determining how their behavior will change as a result...this can be as rich an experience as going to a $3-5k classroom session, but just for the cost of the book and the time investment. I think these are all great points and would add that, at least in my opinion, the opportunity for leadership development is actually greater at small companies because there isn't so much red tape involved. I can't count the number of times I've seen employees in larger companies come up with a great idea/concept/stretch assignment that would allow them and their colleagues to grow and develop, only to then watch it die as it lingers it limbo, waiting for committee approval/hrapproval/executive approval/budget approval and so on . . . The great thing about working for a small company is that if you have the drive and motivation to push for leadership development, you can actually be the driving force to make it happen. Do you think the online learning is as effective as face-to-face contact learning in this situation? I've never been a fan of online learning and I see major obstacles in this particular topic. If online, web-based, opportunities are all that is available, how do you suggest optimizing the learning experience? Once again thanks for the great post! 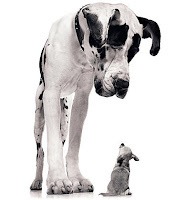 I work in a smaller firm and it was good to read about the "little guys" there are so many articles about multi-billion dollar companies it was nice to see how the same concepts can be applied. I do believe that it is easier to move up the leadership ladder in a small company because you can stand out easier, but the same also goes for failures, they don't get lost in the crowd as easily. Although I do think that size should not be an "excuse" for poor leadership in a larger company, if the core principles are followed a great leader can manage any size. Dan,thanks for the post. From my perspective, the greatest leadership challenge in any organization - despite size - is attitude and desire. Small companies tend to be entreprenuerial in nature. Therefore, leadership development oftentimes is an entrepreneurial event. Individuals need to ask for the opportunity and possibly even identify the resource. It is also important to note that numerous companies such as Vistage, YPO and others serve the small business market extremely well. Thanks. When it comes to role models, entrepreneurs are not always the best leaders. Thanks. Sounds like rich learning opportunities. Thanks for that first hand testimonial. Right, we use books clubs in our company as well. It’s always amazed me that companies or individuals will often pay big bucks to have an author come in and talk about what they’re written in their book. While it may be entertaining, it sure is cheaper just to buy the book and discuss it’s application. Thanks. OK, that’s another vote for small company leadership development. Wow, tough to answer those question with a short comment. But yes, I think the right online program can be just as effective. I've just aas many bad f2f learning experiences as I have online. The principles for getting the most out of the learning are the same as f2f - pay attention, engage yourself, practice and feedback. Right, that supports what Jessica and others have said. It's more about the individual's desire to develop than what the company serves up. You made good points for the small business. 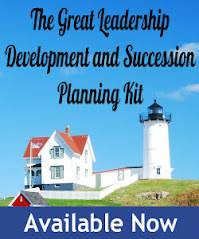 The leadership development opportunities are available to small business leaders as much as they are to large businesses in one form or another. If you want to develop your leadership skills, the size of the company doesn't matter you just have to look at your surroundings and see what opportunities are available. I like the way that this post frames things like changing jobs, hardships, and bad managers all as positives. It is easy to forget that these difficult experiences can be such great sources of personal growth and that sometimes what's needed is a change of perspective. Thanks for the reminder!